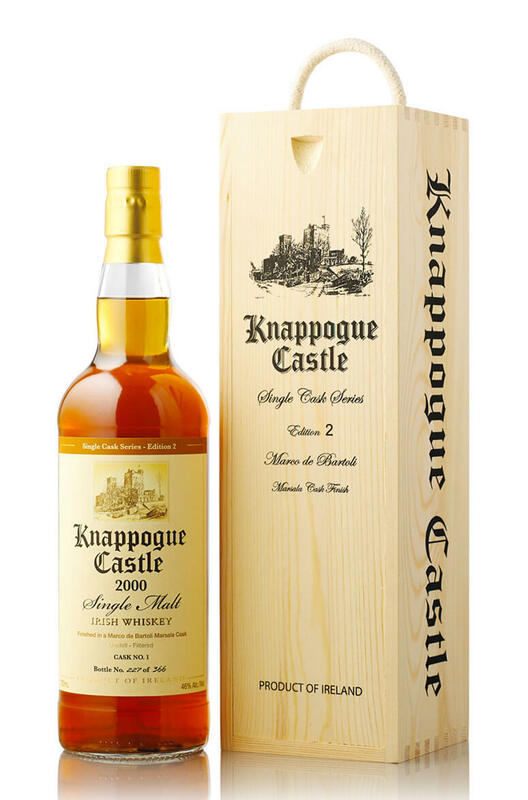 This is the second such bottling in the single cask series from Knappogue Castle. 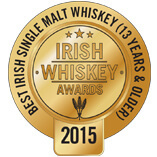 It was produced in conjunction with us here at the Celtic Whiskey Shop. We sourced a Pinot Noir cask from Mongeard Mugneret and used it for the final finishing maturation of this single malt. Mongeard Mugneret are one of the top producers in Burgundy and are well known for their superb red wines. The whiskey was distilled in 2000 and initially matured in a Bourbon cask before being decanted into the red wine barrel in October 2012, it was uncasked in April 2015. This comes packaged with a wooden gift box. Nose Sweet dried fruit aromas with roasted nuts, and strawberry jam. Palate Viscous and mouth-filling. Hazelnuts, coffee, vanilla and sweet spice flavours. Distillery Undisclosed, triple distilled single malt from the island of Ireland. Types of Barrel used for Aging Initial maturation in an ex-Bourbon cask before finishing in a red Burgundy barrel from Mongeard-Mugneret. Any Additional Information of Note Unchilfiltered and bottled at 46%. This was initially matured in an ex-Bourbon cask and was then finished in a Marsala barrel from Marc..